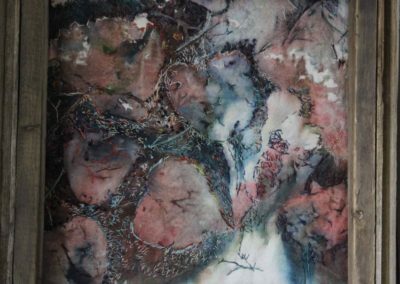 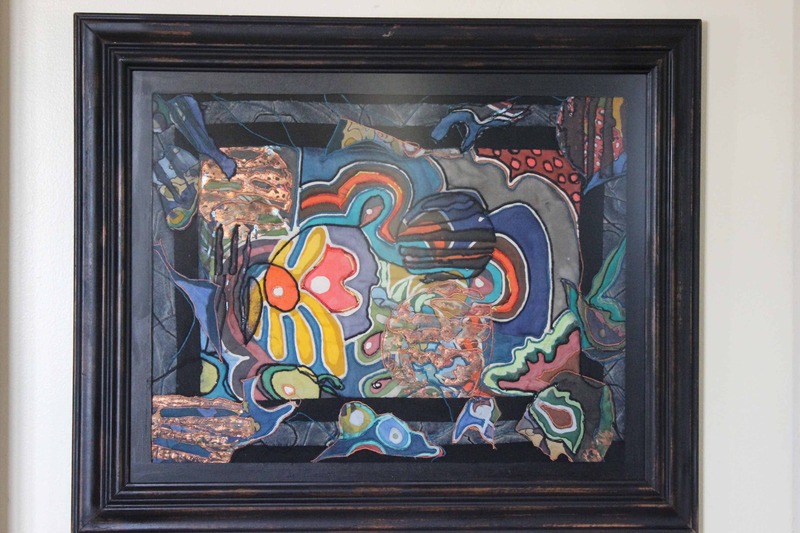 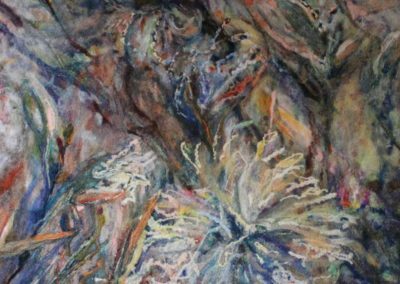 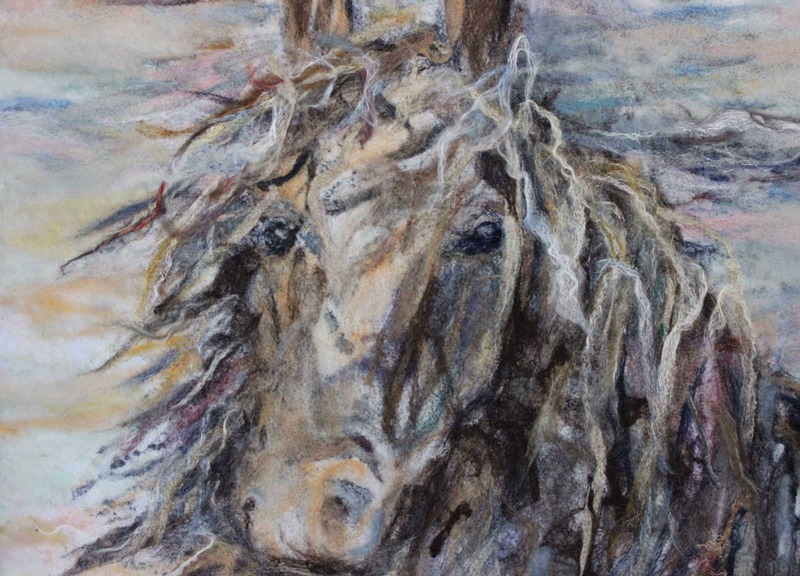 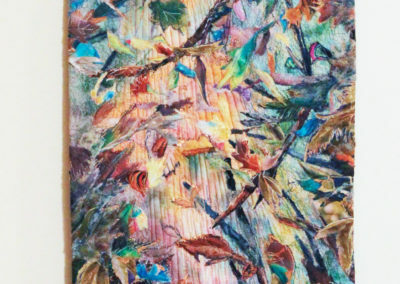 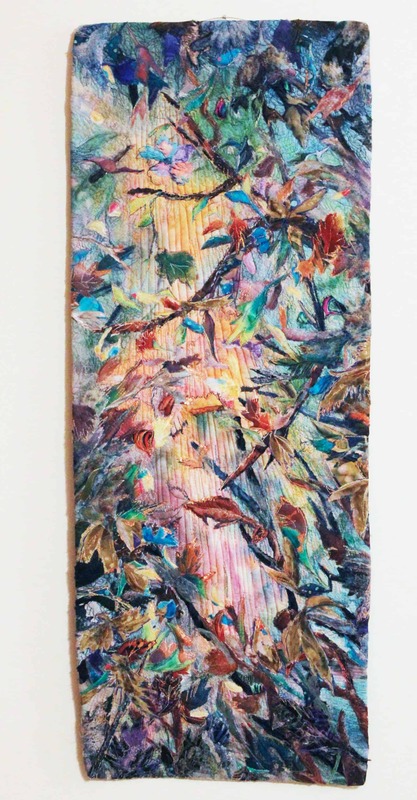 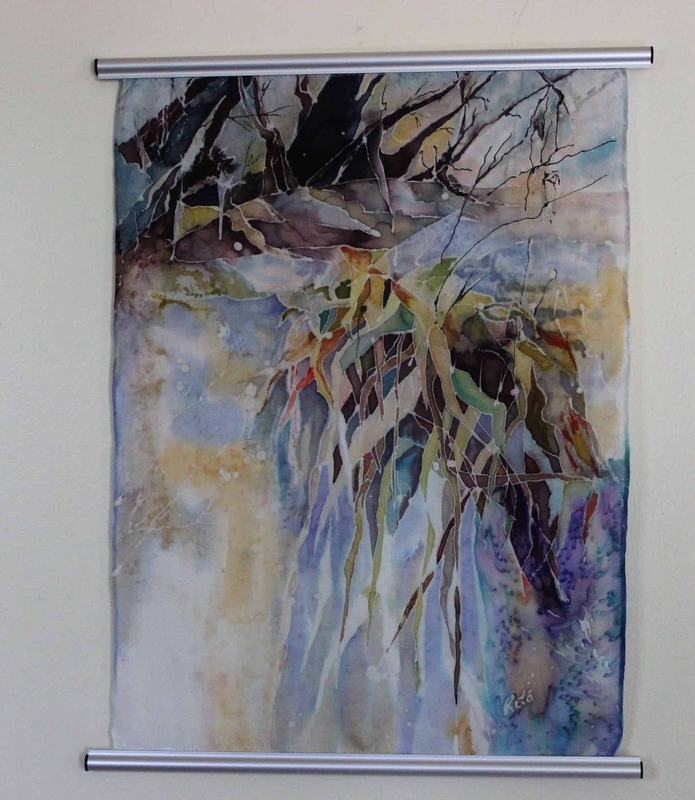 Rita St. Amant is a professional artist working in mixed media with a specialty in textile arts. 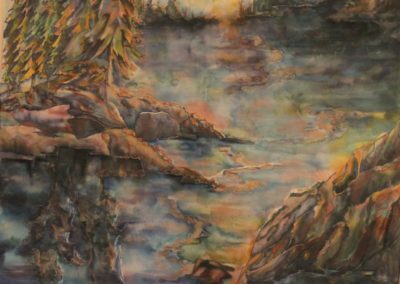 Born and raised in southern Saskatchewan, her work is heavily influenced by nature and landscape, with a particular fondness of the prairies. 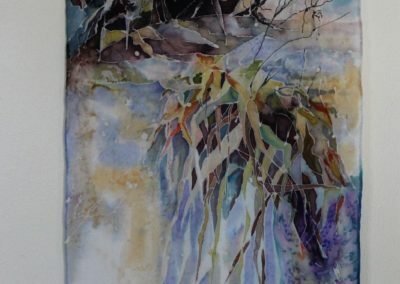 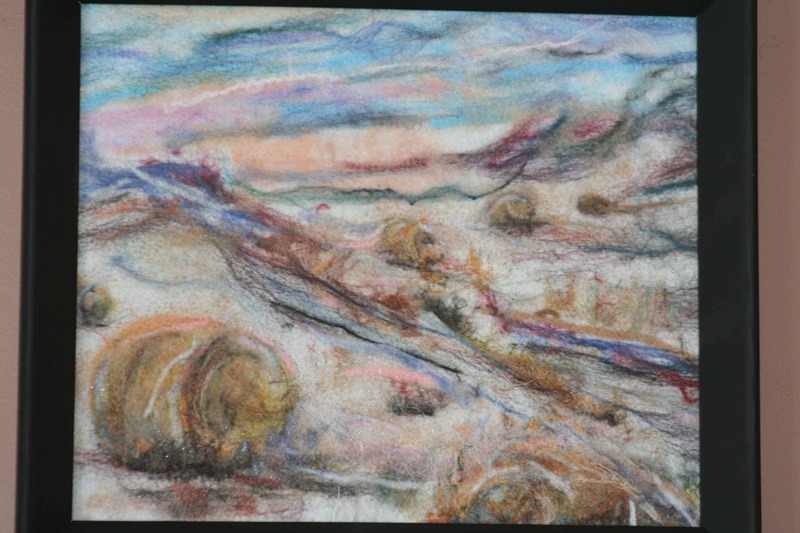 She uses the inspiration of the prairies to create realistic and abstract art. 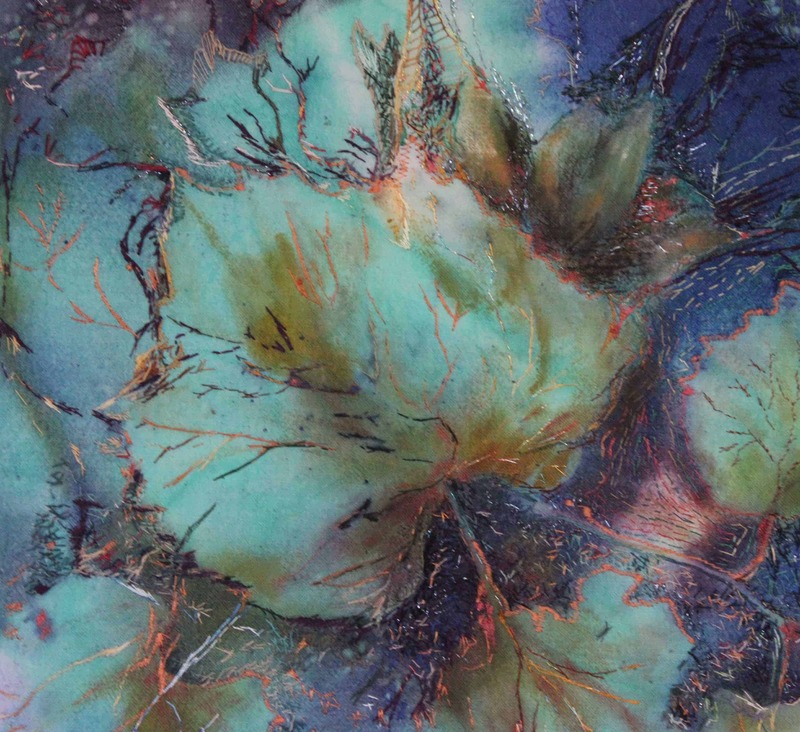 She explores multiple mediums to try every possible process for creating a surface. 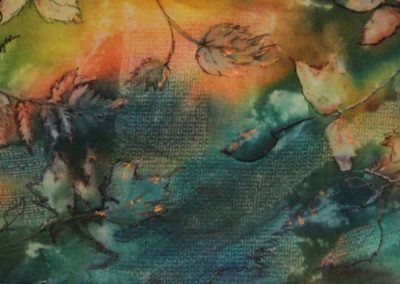 Being deeply connected to nature, an alternate reality is created by the use of wild colors and patterns. 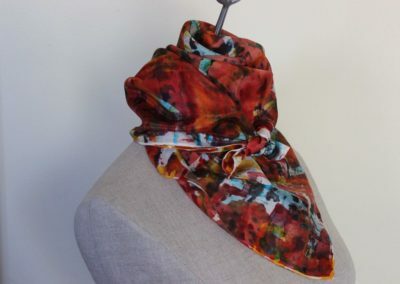 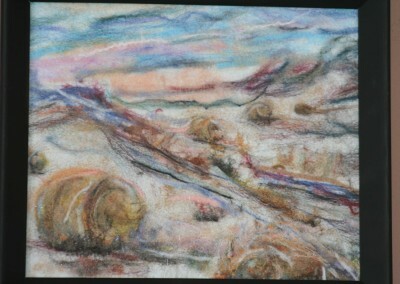 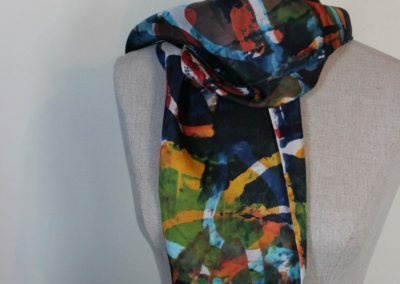 Techniques include painting, drawing, applique, felting and layering with threads and wool. 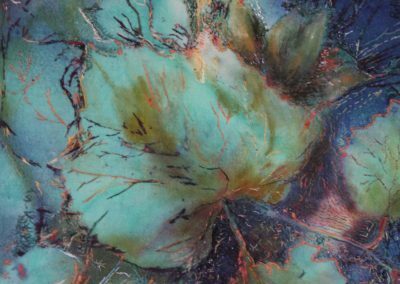 As a multi media artist, material choices and processes vary with each new body of work. 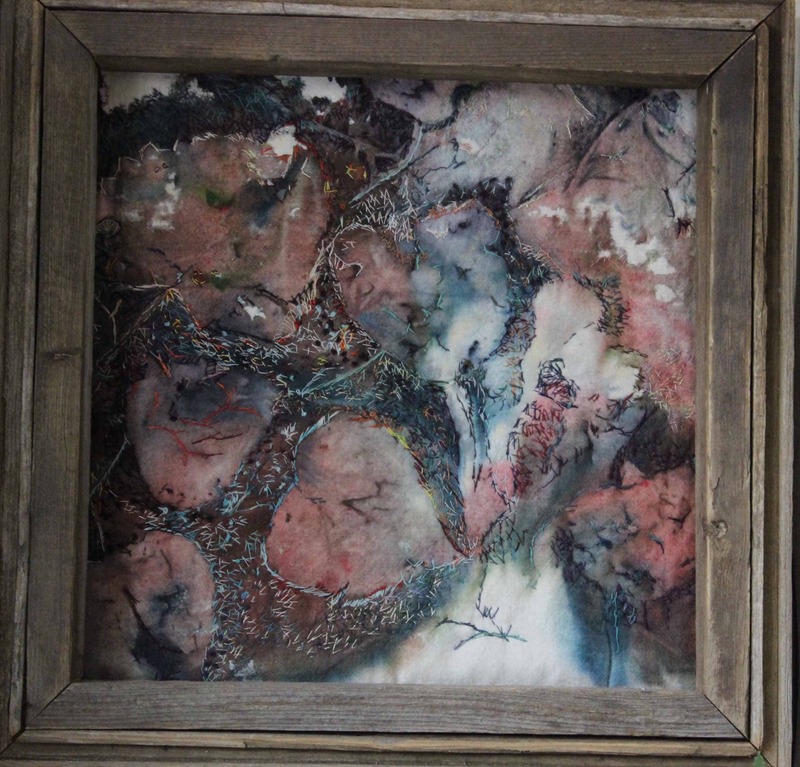 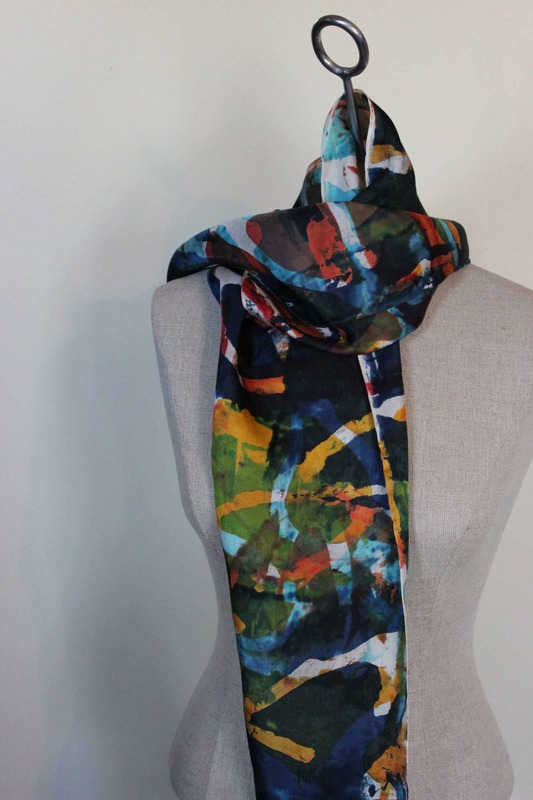 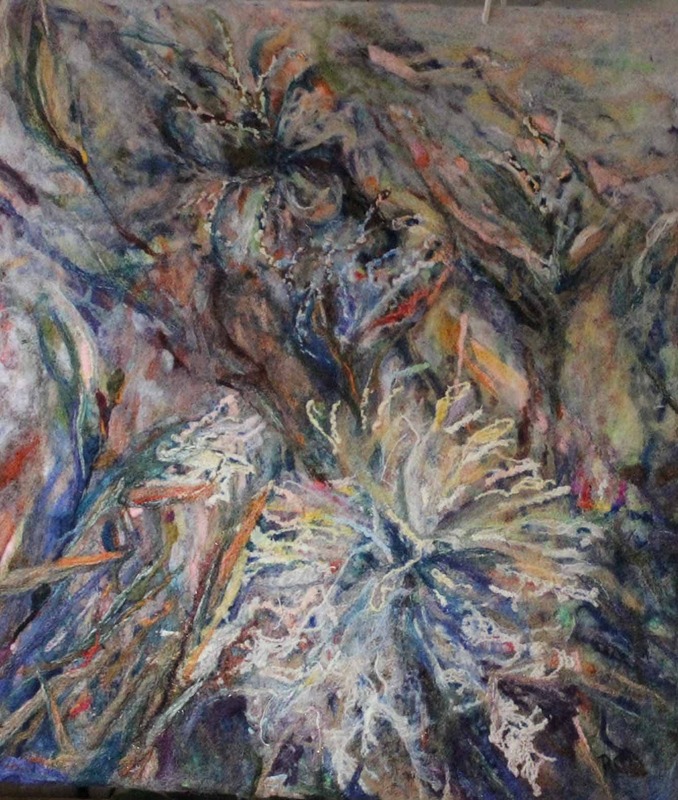 Over the span of her career, she has studied various areas of art and textile art forms. 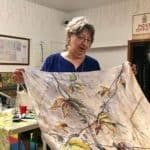 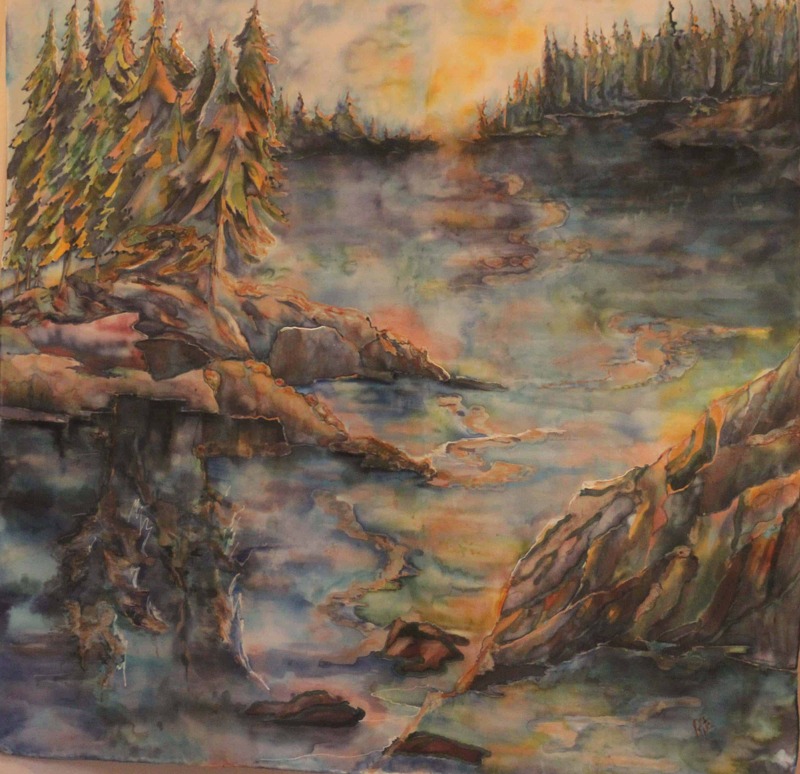 She has taught numerous classes, is a juried member of the Saskatchewan Craft Council, bookkeeper for the Assiniboia Arts Council, works with visual art coordinator and has displayed and sold work across Canada and the USA. She is a frequent teacher and is constantly continuing her education in the many forms of art today.